How long should it be taking you to fall asleep? One of the most often asked question I get is how long should it take for me to fall asleep? Is this a question you find yourself asking? Do you know how long it should take you to fall asleep? If you have answered Yes to at least 2 of these questions, then this article is for you as I have the answers for you. The interesting part is that they may not be what you expect them to be. It ideally takes alot less time to fall into sleep than you would believe or think it would be. This is a struggle many people have. This is partly due to the modern era of technology. What I find happens with most people are they are tossing and turning in their bed, to find that nothing really helps. At the other end of the scale there are those people who can instantly start napping as soon as their heads hit the pillow. Lucky peeps…I hear you cry but is it?! So, the question is what the right amount of time to fall asleep in? The interesting fact is that if you are indeed one of those people who it can take a while to finally doze off at night, then you may be very interested to know that you may be in a better position with regards sleep, than many other people. There are many people who do struggle to have and get enough rest at night. This occurs for many different reasons. It has been proven that on average that within 7 minutes a person should be falling asleep. This stage in our sleep is known as Alpha stage. More interestingly, it has been found that this stage is not only restricted to sleep. For those people who practice meditation have generally fallen into this stage during their mediation. Otherwise known and referred to as the brainwave activity range. This neural activity is also tapped into for those people who often pray and chant into. If you find yourself dozing off within 10 to 20 minutes of going to bed, then it means that you are in a normal sleeper cycle. Otherwise known as a sleep latency. If however, it is taking you less than 10 or more than 20 minutes to fall asleep, then your body it trying to suggest that there may be something wrong. An hour or more. There are 2 reasons behind it taking more than one hour. If you notice that it takes one hour or more before you start dreaming, then it may be actually be because you sleep too much. If it is due to you have a struggle with sleeping, otherwise known as insomnia. This happens because you find yourself unable to turn off the thoughts going through your mind at night, making it impossible to relax at night. Most of the time, it occurs because you have not prepared your body to sleep. With most common causes because you had a lot of caffeine to late in the day, not enough exercise and eating the wrong type of foods at the wrong time of day. All these can cause a in your own natural circadian rhythm. There are also occasion when this occurs for other reasons, examples such as jet lag, for instance. Insomnia. If you are currently having any of the above mentioned problems, then the first thing to try is to look at your routine and sleeping environment. 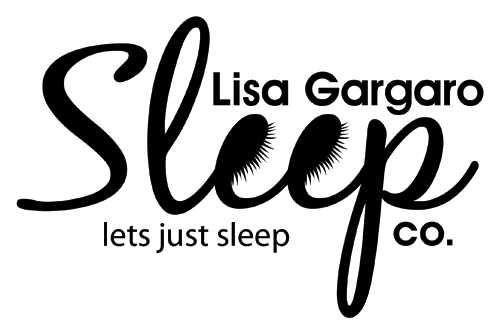 If you are still not able to sleep, then I would suggest booking a 15 min introductory call with myself to ask me about ways that I can help you with you being able to go to bed for a good night rest you will be in much need of. What if it is to quick? If you are finding that you keep napping immediately after you go to bed, then this may actually be hint that you are not actually getting the right amount and enough sleep. This typically mean that you need to have more rest. What we do tend to find is that if you do not pay attention to such signs and do nothing to improve your rest and sleep well enough, then you may suffer later on. So, how exactly do can I fall asleep faster, I hear you ask? With most people generally taking more than a 1 hour to reach the first sleep stage. What has been found is that these people are lingering for nearly an hour in Alpha sleep stage before they finally fall asleep and doze off. However, there are some people who can be taking much longer time to finally nod off. The magic of the human body is that it has designed itself in a way that it naturally starts to fall asleep upon the sun setting. However, due to the environment and modern-day life we have, being permanently surrounded by artificial lights, the normal chemical signals, we would have previously made and activated this natural occurrence are often confused or even delayed. Excessive light sources in our surroundings & smart devices are also a cause of many sleep disorders. With the following items cell phones, televisions, computer monitors, even brightly lit communal, office & street lighting all being a major part of our lives now, what is actually found to be happening is it in actually fact keep us up more and then all night. So I suppose the main question I hear you ask is, what exactly can I do to help me go to sleep faster? I have some tips below that I hope can help you to doze off faster and have better quality sleep once you are sleeping. No electronics in your bed, even better not even in the bedroom! It is recommended via scientific studies that you must not use any items of technology, like computers, television, phones and gadgets at for at least an hour before you head to bed. So, get off these devices and do something else for at least one hour prior to heading to bed. Yes, I know this seems a really absurd thing to suggest. However, it has been proven that by the clock can actually help you sleep better. The fact that you can no longer stare at the clock, it takes away the heightened psychological pressure you get when it is there. It is during this period of laying that you start to find that your mind is thinking of all the things that will be affected if you do not doze off quickly, resulting in you will not get enough sleep. So, removing this temptation will help make it easier to get to sleep. Taking a bath before going to bed is prove also to help you sleep faster. The warm bath relaxes you making you feel drowsy. This occurs due to the rapid drop in the temperature upon leaving the bath, which in turn imitates what naturally occurs in your body while we sleep. Initially the heat from the warm bath enables you to relax more by relaxing your muscles after you go to bed. 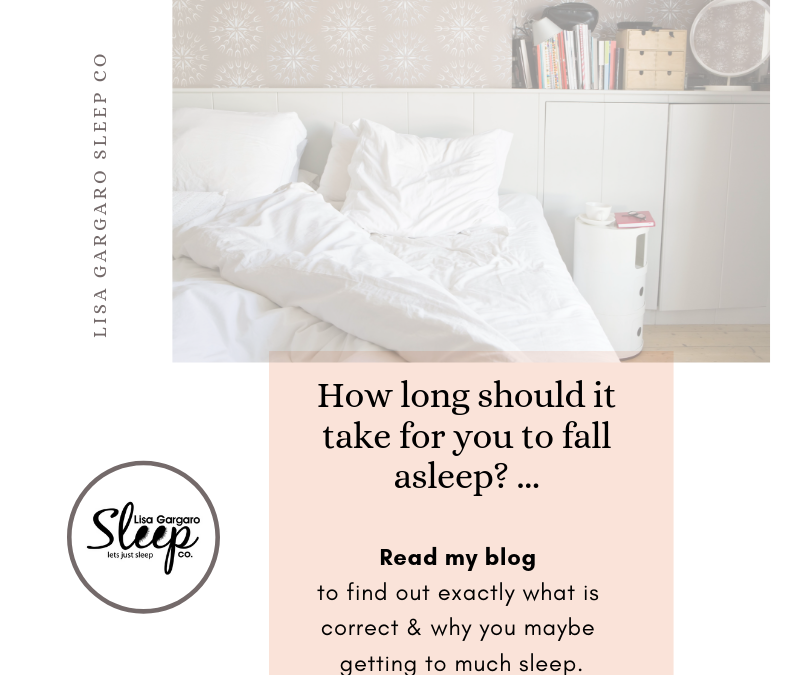 Summary and a quick recap Now that we have discussed and know how long it should take to fall asleep (generally ten to twenty minutes), you will now be able to study your current sleep situation. If you have now discovered that it is definitely taking you longer than twenty minutes to fall asleep, then you know that your body is trying to tell you that there is something wrong. If you don’t know the answers to what could be causing this then I would invite you to book a call with me and we can discuss this further. I offer 15min introductory calls where I can help pin point some areas to focus on and if its no basis one then I can help you either with a personalised sleep program which we can work through together over a 4 week program or alternatively if you feel confident in your own ability to follow a program then you can do the DIY sleep program which you can work through at your own pace.